Welcome to the second chapter of Kim's Taste! 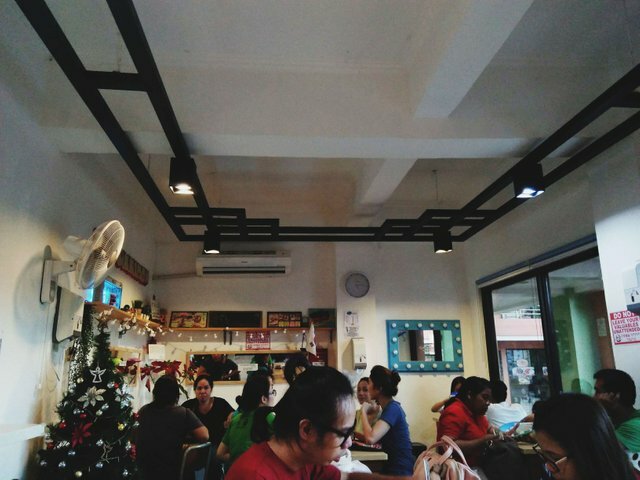 In this post, I will be reviewing a food spot that made me evoke a certain nostalgia when I went there. As stated in my previous post, I will be sharing everything that's related to my food escapades and I will make it exclusive for @tasteem. I will try to be fair and reasonable in my reviews so I will have to divide the review in four (4) categories namely: Food, Ambience, Service, and Price. I will give ratings from 1 to 5 depending on my experience. No matter how much I aim to be objective in my review, I can't help myself when it comes to certain biases so I will just make everything personal here. Remember: If you happen to be in one of the restaurants in my review, we might have different preferences, as well as experiences, so our ratings might not be exactly the same. Let's start! As for Topokki Man, meokja! 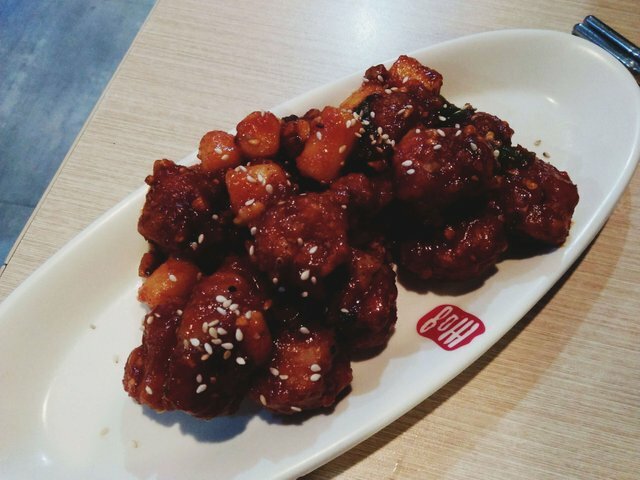 As an avid fan of Korean drama before, (maybe because of Steem, I don't have that luxury of time to watch series anymore) there certain influences of when it comes to food specially when our beloved characters [Kim Bok Jo - Weightlifting Fairy] eat their appetizing meals. 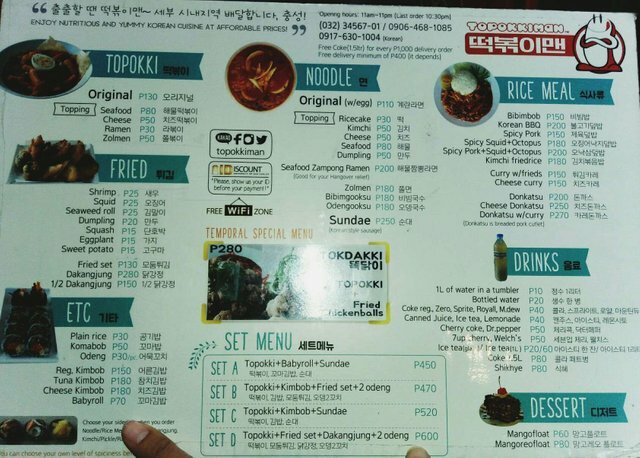 Due to those Korean drama, Hallyu Fever, and influx of Koreans here in Cebu, Korean cuisine has been becoming more prevalent as the days go by. 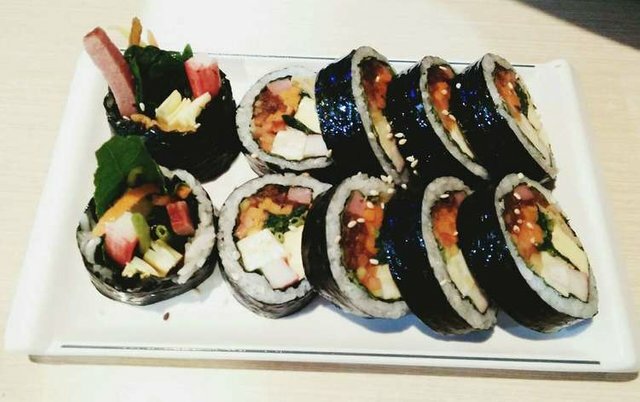 Topokki Man is a casual Korean food spot located in Rosedale Food Court, Gov. M. Cuenco Avenue, Banilad, Cebu City, Philippines. It's just near USC [University of San Carlos - Talamban Campus], where I studied chemical engineering so it brings a lot of memories when I happen to be in the area. 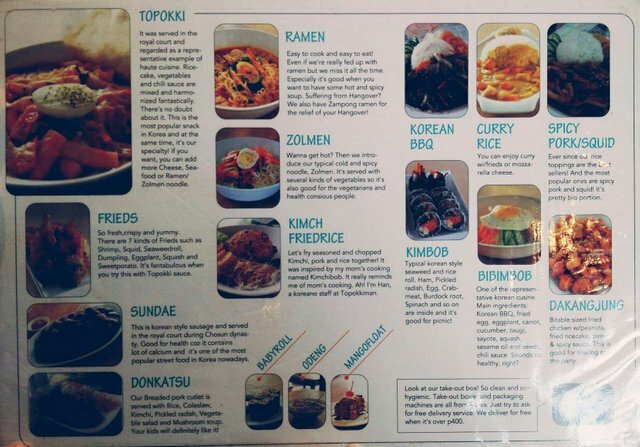 Everything that they serve is explained in their menu, as seen in the photo above so you don't have to worry about what to order if it's your first time. That's an added points for Topokki Man because it lets you assess your preferences and your order will be aligned in those preferences. We were on a tight budget at that time, so we ordered a few items on their menu. We ordered dakangjung, kimbob, choice frieds. When we dined for the first time, we already other items topokki so we didn't order that one. As expected of Korean food, it's colorful (particularly into the orange range of the spectrum), bursting with flavors, and filling. 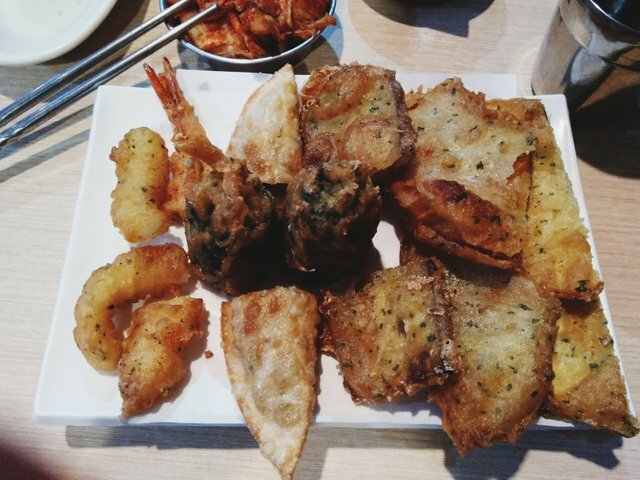 Korean food is an acquired taste for some, but it really worked well for me. 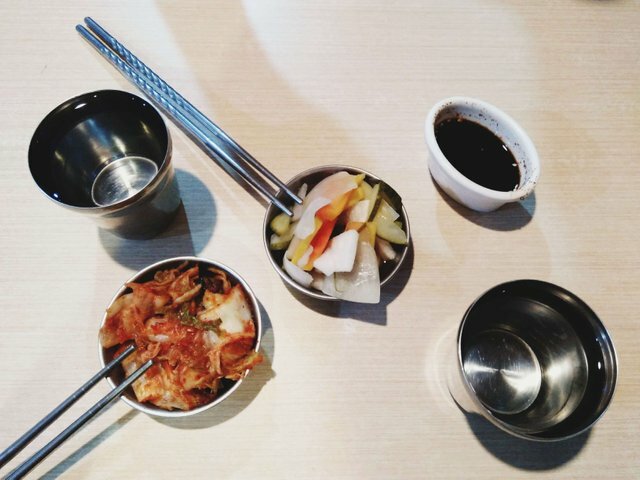 Complementary side dishes, like the famous kimchi, is also served for free. 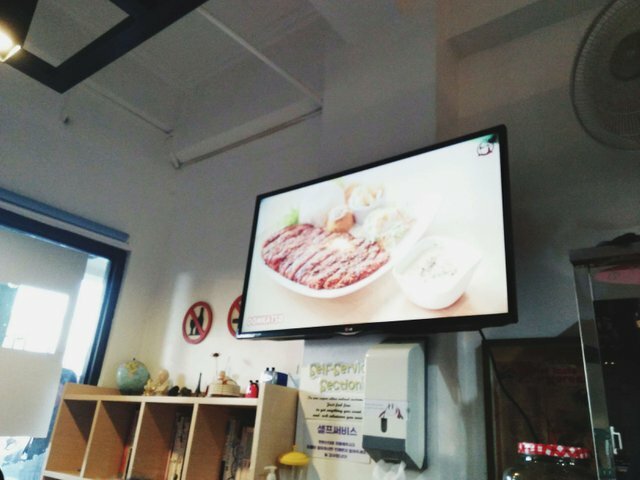 I heard that their kimchi is homemade, so I really enjoyed it. It was so good! The area is not that spacious, so it can only accommodate a few tables and chairs. At peak hours, some would wait in order to be seated. 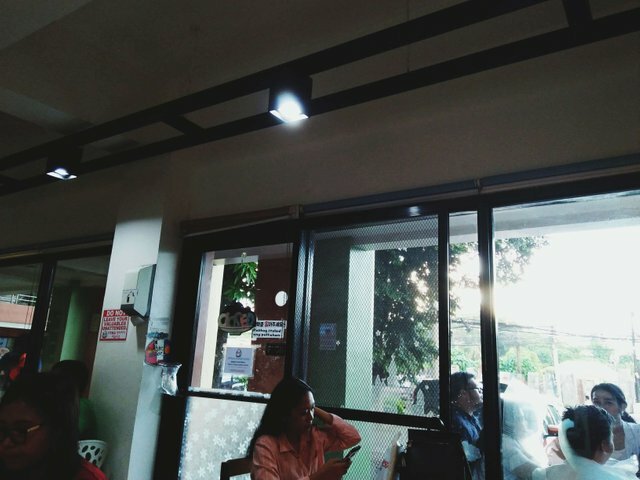 The atmosphere is cozy and the music in the background is a little bit relaxing for me. When I was there, it was full packed and a group of students were waiting outside for an available table. You can just imagine a certain number people that is cramped in a limited space, but everyone was enjoying their meal so it's amazing for me. There are about two tables available outside if you want al fresco style, but I personally wouldn't recommend that one. Just imagine a combination of saucy and spicy Korean food and humid and dusty atmosphere in Cebu. Although I enjoyed it, the place is something that the management should consider improving. 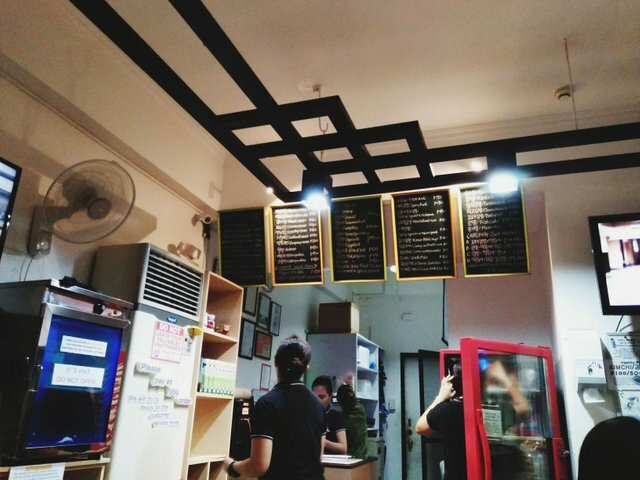 The staffs are friendly, but once you're line up for order or your orders have been served, that's all there is in Topokki Man. Everything else is self service. From getting your own utensils (spoon, fork, chopsticks, and glass) to fetching your own choice of drinks, you should serve yourself. Everything is available in a designated area. That's fine for me. What made me give 4 as a rating for service was the waiting time. We waited longer than we should before our orders were served. I get that the place is full, but I think there's something to improve there in terms of serving time. 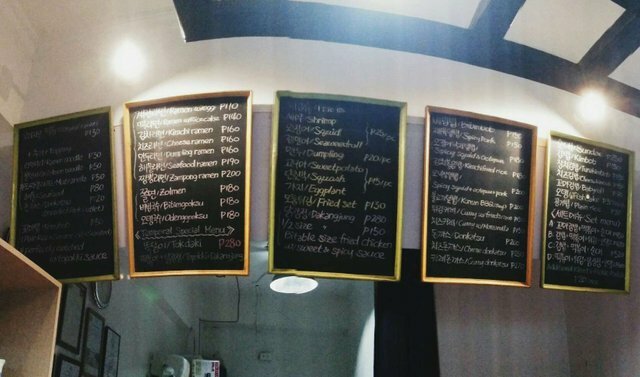 Based on the menu, the price ranges from less than Php 100.00 [$2.00] to Php 200.00 [$4.00]. There are available set dishes for a certain number of people. Their serving size is reasonable and it's good for sharing. I think the pricing is reasonable. 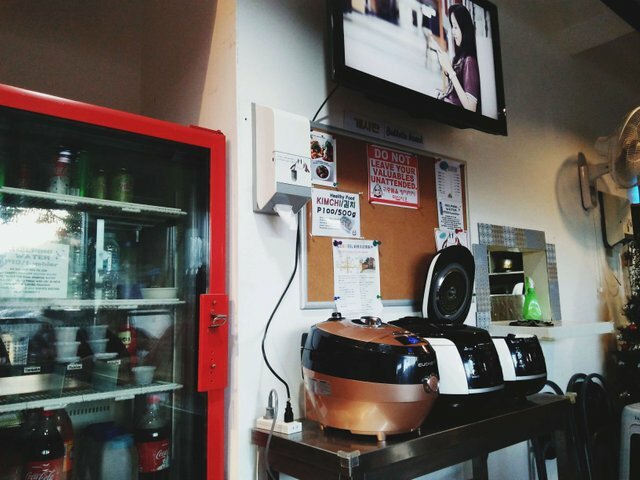 If you love Korean food, you will definitely be satisfied in Topokki Man. I was really full when we dined there even if we ordered just a few items in their menu. It's not fancy. It's not over the top service. It has a reasonable price. Their selling point is their on budget menu and excellent food. Whenever I'm on a budget and I crave something spicy and Korean food, Topokki Man is my first choice. That's all for my "biased" and ultimately personal review of Topokki Man. I hope that you will find this helpful. Please don't hesitate to comment anything that you want to express! Also, thank you in advance for showing some love by upvoting this post! Note: All photos used in my posts are mine unless other stated. Copying and distribution without my consent is a criminal offense. Just hit me up to ask permission and I'll gladly oblige. Detailed review. Please always improve yourself for always better quality of review. Thank you, @anggreklestari! I will. I will continue to study and observe how topnotch reviewers make comprehensive, perfect, and fair reviews. Thank you for entering our <Your weekly choice > Contest . Thanks to @ybanezkim26, Tasteem has become a more attractive guide. We upvote your post, wish you the best of luck in winning our Contest! Congratulations! This post has been upvoted from the communal account, @minnowsupport, by ybanezkim26 from the Minnow Support Project. It's a witness project run by aggroed, ausbitbank, teamsteem, someguy123, neoxian, followbtcnews, and netuoso. The goal is to help Steemit grow by supporting Minnows. Please find us at the Peace, Abundance, and Liberty Network (PALnet) Discord Channel. It's a completely public and open space to all members of the Steemit community who voluntarily choose to be there.